Tactical Trekker: Why Tactical Trekker? 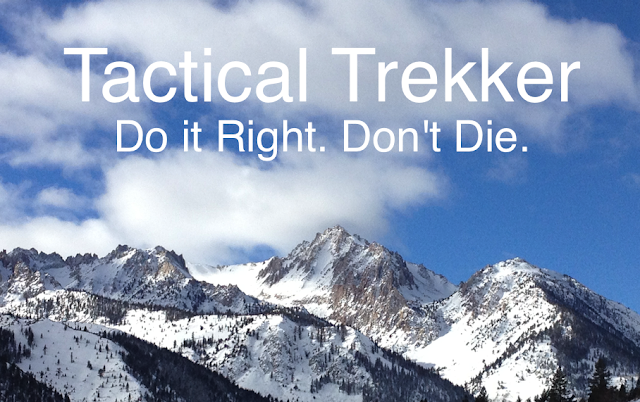 Why did I start Tactical Trekker? Right now, I make my living mostly from traveling to far away countries in pursuit of global conspiracies, and evil villains where I meet fascinating people and kill bad guys with interesting weapons. In other words, I write thriller novels. (http://lewisperdue.com). I also perform certain technology-related intelligence functions for a very large U.S. organization. But thats pays badly and is mostly a way to give back to the world's greatest country. I also own a premium, digital publication called Wine Industry Insight (http://wineindustryinsight.com) which I started about four years ago. It earns about the same amount of money as my thrillers now that I've built it into a profitable operation that's almost three times larger than the number two premium wine industry online operation. But my action novels are the main reason for starting Tactical Trekker. This is because, in my thrillers, I try very hard to make things as authentic and real by personally doing what my characters do -- within the realm of ethics, legality and personal ability. While the act of using odd weapons or engaging in particular activities can be demanding, the process makes it easier in the long run to describe how a character would feel and to know what descriptions are accurate. I can describe the recoil from a Barrett .50-caliber sniper rifle as "about the same as a magnum-load .12-gauge slug." But I could not do that without shooting the Barrett. My guardian sniper heroine, Mira Longbow, used the Barrett in my thriller, Die By Wire. There is a lot I could not have written well without having some experience with the weapon. That includes first-hand looks at its awesome effects. Knowing how to use crampons and ice axes to kick my way up a frozen waterfall is the same sort of thing. Yes, that'll be in a forthcoming book. And I know the terrifying feel of having both footholds give way at the same time, leaving me hanging for a moment by the ice axes. Can't get that by watching TV or being a spectator. Obviously, I can't put everything about every experience into a book, and so in the past, a lot has been left on the cutting room floor as it were. So, last year I created Tactical Trekker which includes the out-takes from the activities that get used for book research. I intend to use the lessons and experience from creating and building Wine Industry Insight to create a profitable trekking site in its own right that helps people stay safe and comfortable. Lew, good to see you on the ice!... fodder for a book... Once on four points on slightly greater than vertical ice, I flexed-up my left leg while taking a mighty back swing with my right teradactyl axe - imagine my surprise when my body slowly swung "open" like a door hinged on my left axe and left front crampon points... two points are not very stable purchase in the face of ice and gravity; and physics didn't provide me with a ready option to "close the door" - I hung, helpless on my "hinges" until they gave way and I dropped like a stone (shattering my belayer's leg in the process - crampons are nasty when snugly attached into hard ice and one's upper body is pulled suddenly and unexpectedly at a twisting angle.... ligaments, muscles and bones seem to break before those steel points frozen into ice) - scary feeling - I can still feel it 30 years later... perhaps your prose could do it justice some day! Every memory of my many broken bones and twisted ligaments all went off like one giant pain in my head just reading that. Yeah, no matter how careful we are or how good we might be, the elements and Mother Nature always hold the upper hand.